Welcome to the 518th Edition of my series. I started my day shift last week and I have started rehearsals for my December show MIRACLE ON 34TH STREET which is a musical version. I am glad to be back at Muncie Civic. Other parts of the week has consisted mostly of watching movies for the Madness so I will get to my double feature for the week. 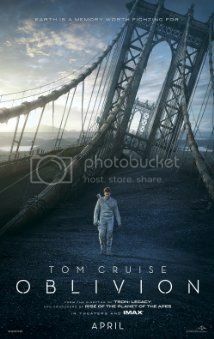 Oblivion (2013): This is part two of a Tom Cruise five part series. Joseph Kosinski directed this sci-fi film. 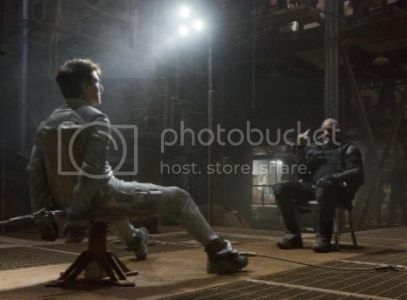 This takes place in a war-torn future where Cruise stars as Jack who is trying to maintain the planet's defensive drones when a crippled starship enters his territory. When he finds that it is a lone woman named Julia, played by Olga Kurylenko, he begins to question what he knows and his mission. 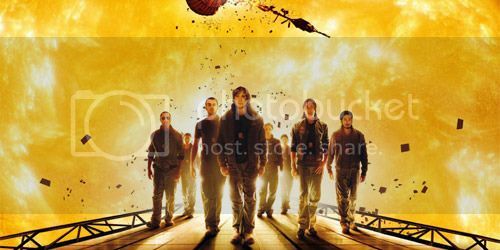 Morgan Freeman, Melissa Leo, Zoe Bell, Andrea Riseborough, Nikolaj Coster-Waldau, and many others co-star in this sci-fi film. This really had a good story and good performances including Cruise himself. The special effects were also very believable. It is more of a human story with good characters to go along. 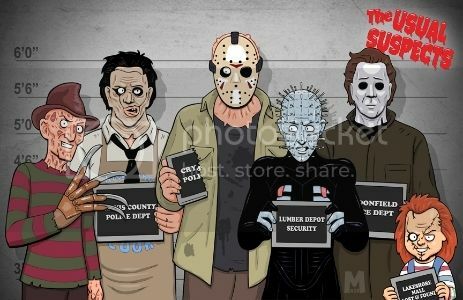 This is good for the sci-fi fan and I think others can like this one. 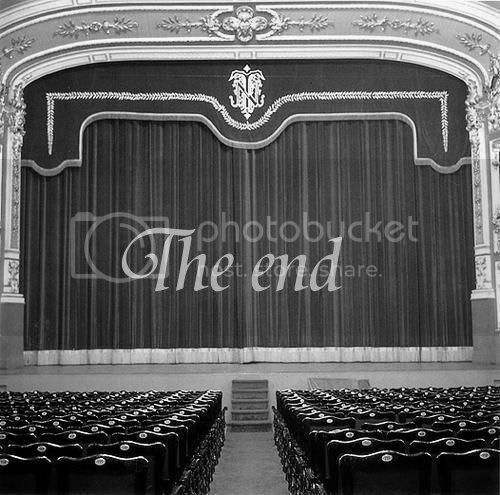 Back to the Future Part lll (1990): Robert Zemeckis directs this end of the very popular trilogy. Christopher Lloyd and Michael J. Fox reprise their role of Doc Brown and Marty McFly. Doc is now in the old west where he is enjoying life but has Mad Dog Tannen, played by Thomas F. Wilson who is Biff Tannen in modern times, after him. 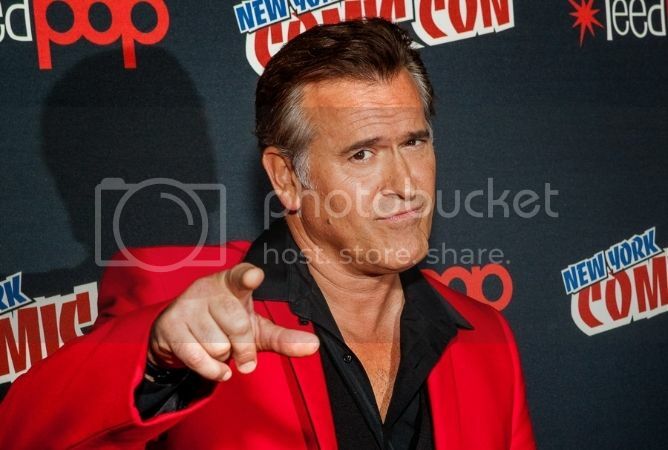 Marty travels there hoping to save Doc and ge. t him back to the future. 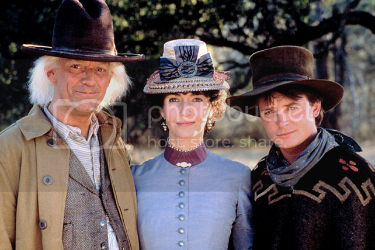 Mary Steenburgen co-stars as Clara who is Doc's love interest. Lea Thompson, Elizabeth Shue, Richard Dysaart, Harry Carry Jr., James Tolkan, Flea, and many others co-star in this film. I always thought this is the underrated part of the trilogy. The was a really good way to end the series and liked they paid homage to Clint Eastwood. Also good to have western legend Harry Carry Jr. involved in this film. I guess this could be called a time travelling western comedy which worked very well. Meet Joe Black (1998): Martin Brest directed this film. Anthony Hopkins stars as Bill who is celebrating his 65th birthday and soon meets Death, in the form of a man named Joe Black being portrayed by Brad Pitt. Bill is able to make a deal with Death for a little longer life if he teaches him about life on earth. Claire Forlani co-stars as Bill's daughter Susan who starts to fall in love with Joe Black not knowing his true identity. 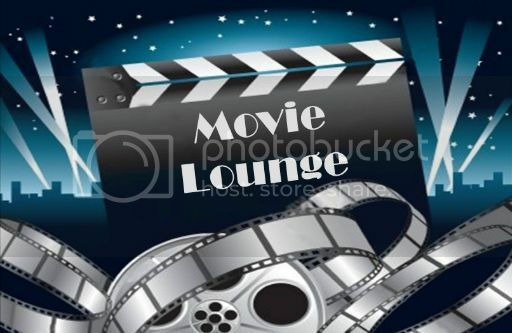 Jake Weber, Marcia Gay Harden, Jeffrey Tambor, and many others co-star in this film. Brad Pitt does very well in his role and Hopkins also does a good job as the compassionate businessman. It is a pretty movie story, maybe did not need to be as long but is still quite enjoyable. Haxan (1922): This is my silent film for the week. 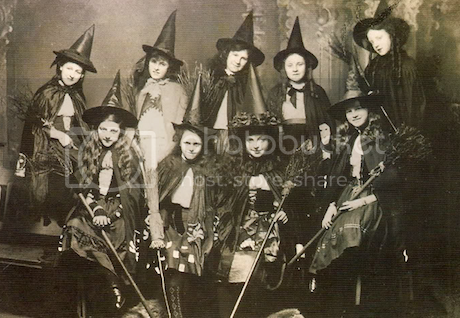 Benjamin Christensen wrote and directed this film documenting witchcraft through the ages. It starts with inter-titles with drawings and paintings to illustrate the behavior of pagan cultures in the Middle ages conveying their vision of demons and witches. 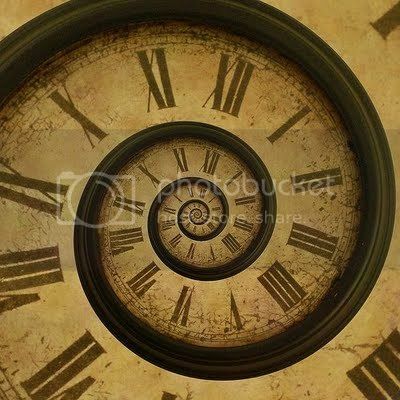 It also looks at a more contemporary time period showing the similarities through history. 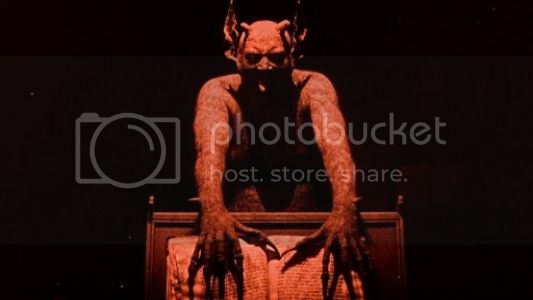 Christensen himself plays a very interesting version of Satan. 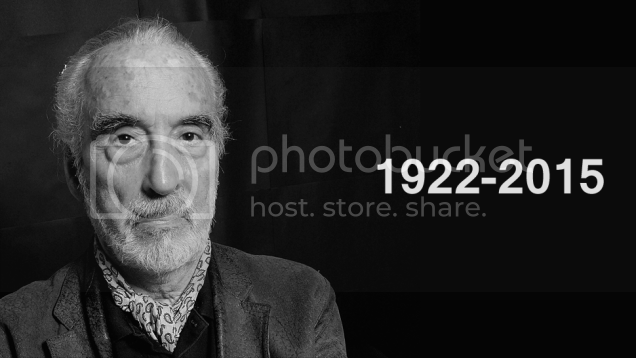 There is also a 1968 version in which William S. Burroughs narrates. This is a really well done film from the era which combines science, humor, and horror. It's the Great Pumpkin, Charlie Brown (1966): This is my short for the week which is really an annual tv special but how can I not watch this every year? Most of us know this story of Linus trying to convince everyone that there is a great pumpkin and waits for him to rise out of a pumpkin patch along with Sally. 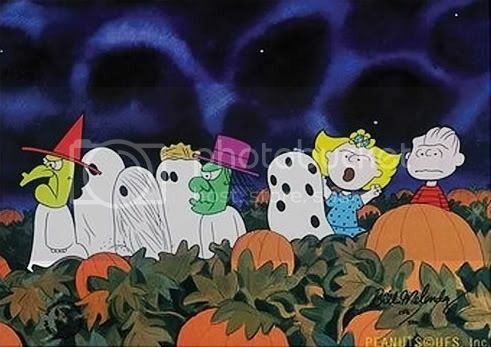 The rest of the gang is trick or treating where Charlie Brown is in a poorly cut ghost outfit and gets rocks instead of candy. This is a timeless classic that I never tire of and hope none of you are either and for those who are parents to expose their children to this timeless classic and other holiday specials. 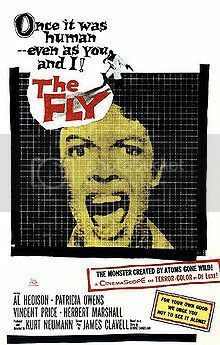 The Fly (1958): What a horror classic. David Hedison stars as scientist Andre Delambre who has made quite an invention managing to transport objects from one side to another. He begins to have ambition to do this with a human being but then a fly gets in the way making his experiment go quite awry. Vincent Price stars as his prother in law who is actually trying to help him instead of being the villain or even the protagonist. Patricia Owens plays his loyal wife who take the vows of marriage very seriously. 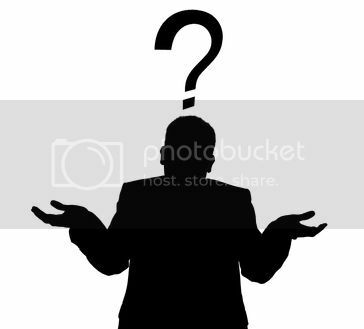 Hedison actually did a very good job in the film in a role where we do not see his face but a fly and does it with body language. This is a classic horror movie which is also a very good one with a good story and performances. Wrong Turn (2003): Desmond Harrington stars as Chris who is on a business trip and crashes into another vehicle which he meets a group of five friends including BUFFY alum Eliza Dushku and Jeremy Sisto. This happens in the middle of nowhere where they try to find help but find a group of cannibalistic mountain men instead. This was the first of a series and this is the only one I have seen. I have always liked this one, I know seeing Dushku makes it a lot easier. It is a pretty compelling and gory horror film. The mountain men were very well done and were quite creepy. Worth a look if you can get past the violence. 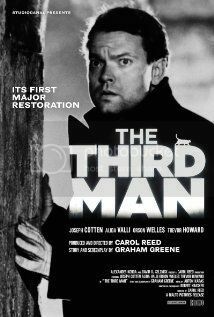 The Third Man (1949): Carol Reed directed this film noir based on the story by Graham Greene. Joseph Cotton stars as pulp novelist Holly Martins who arrives in post-war Vienna from an invitation from his old friend Harry Lime only to find out Lime has died. He goes around investigating his death and the more he learns the more he learns that nothing is as it appears. 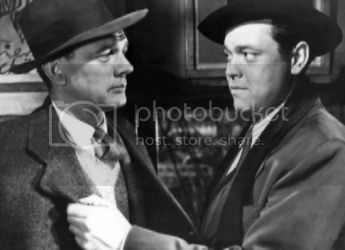 Orson Welles, Alida Valli, Trevor Howard, Bernard Lee, and many others co-star in this film. This is a pretty atmospheric movie with turns everyone you go. 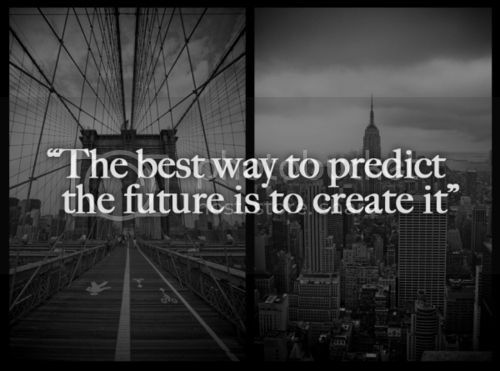 It is very good leading up to a really good climax. This is one that if I say any more I will give it away so just watch it. 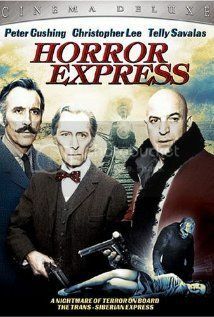 Horror Express (1972): This is my Hammer film selection for the week. An anthropologist discovers a frozen prehistoric creatures thought to be the Missing Link. 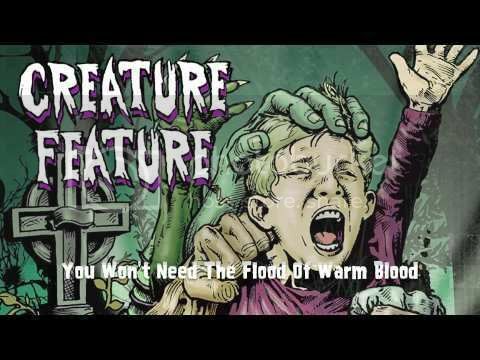 They look to take the creature to Europe on a train but soon the prehistoric creature becomes unfrozen and butchers the passengers. Christopher Lee and Peter Cushing star in this film and actually team up for a change as they are usually rivals in most of their movies. Joining them is Telly Savalas. Not a bad one for the holidays. 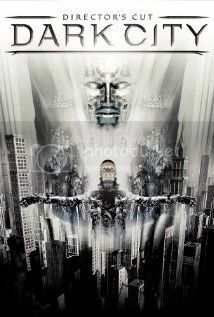 Dark City (1998): I end this section with this futuristic film directed and co-wrote by Alex Proyas. Rufus Sewell stars as John Murdoch who wakes up in his hotel room with no memories and wanted for a series of murders. As he is looking to piece together his past, he stumbles upon a nightmarish underworld that has telekinetic powers and seek the souls of humans. 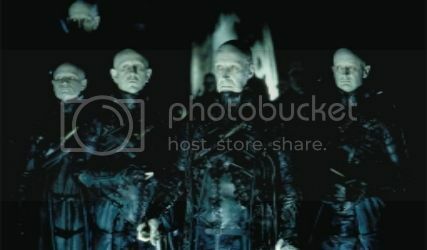 William Hurt, Kiefer Sutherland, Jennifer Connelly, Richard O'Brien, and many others star in this film. To start, the cinematography is amazing. To add to that is there are some good performances and is kind of a sci-fi film noir which keeps you guessing all the way through. Well, that is it for this week but continue to read for week two of the Madness. Stay tuned for next week which so far includes more Tom Cruise, John Hurt, Liv Tylor, Michelle Yeoh, Liam Neeson, and many others. This is the second week of the Madness. Not as much as I had last week but I feel I have some pretty good selections and a few loopholes that will make many cringe. Spider-Man (2002, 121 minutes, 666): This could go under the "Superheroes" section but I give the wild cards their own spot and Bruce does make a cameo as the ring announcer for when Peter fights Bone Saw, played by the late wrestling legend Macho Man Randy Savage. 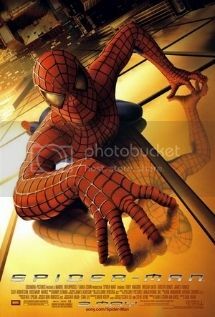 Tobey Maguire stars as the teenage webslinger while Willem Dafoe plays the Green Goblin. I did not know that TRUE BLOOD's Joe Manganiello played Flash Thompson. 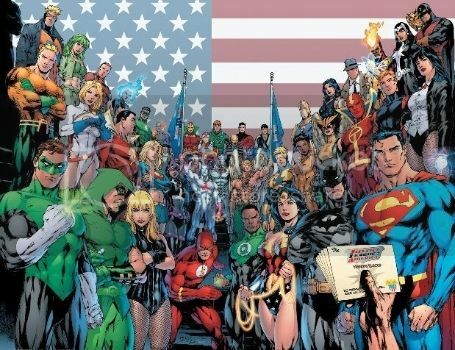 This really kind of started the resurgence in superhero films in my opinion. Spider-Man 2 (2004, 126 minutes, 666 1/2): This is a very good sequel where Peter is dealing with his own personal issues while dealing with Otto Octavius, played by Alfred Molina, becoming Doctor Octopus. Dylan Baker plays Curt Connors and like Billy Dee Williams in the Tim Burton's Batman franchise missed his opportunity to be a possible villain in the Lizard after Sam Raimi no longer has the franchise. Another one is the character of John Jameson who later becomes the Man-Wolf and did not know that was Daniel Gillies who plays Elijah in THE ORIGINALS. 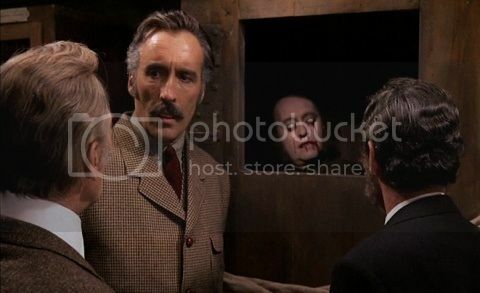 Horror Express (1972, 88 minutes, 66 1/2): This would count either way but can always watch some Christopher Lee. 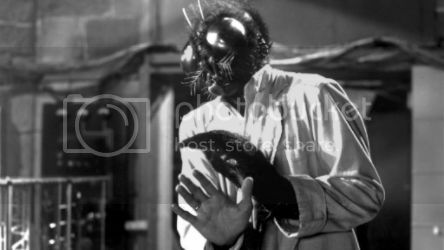 The Fly (1958, 94 minutes, 666): One man's worst nightmare of having a fly as a head. Easily counted and has a pretty good remake to go along with it. How to Train Your Dragon (2010, 98 minutes, 666): I would say that dragons qualify for fantasy which takes place in a viking village where everyone believes dragons are evil. 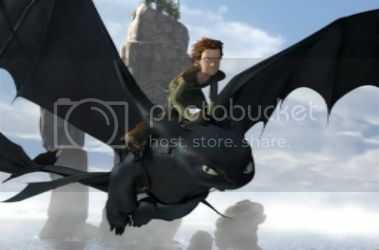 A young boy named Hiccup who really does not fit into the village realizes that dragons are no different from them and they both fear each other which is what has lead to the killing and he tries to convince his village of the findings. How to Train Your Dragon 2 (2014, 102 minutes, 666): This is the sequel to the hit animated film where Hiccup is now a respected member of his village where humans and dragons live together. 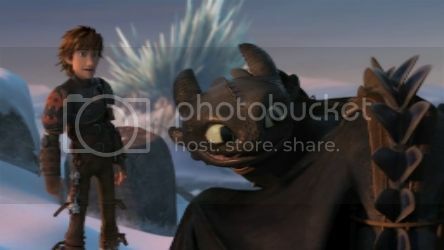 In this one, Hiccup and his dragon Toothless discover an ice village which has many dragons and fights to keep the peace when the ruthless Drago likes to train the for his own war. Children of Men (2006, 109 minutes, 666 1/2): This takes place in a future where no one has been born in 18 years but finally it happens and it's up to Clive Owen to get her where she needs to be. May not be counted in other Madness years but this year it should for having such a bleak future and a world where no one has been born for a long time. Dark City (1998, 100 minutes, 666): With the kind of direction it has, this qualifies and I believe gets a bonus point for the word dark. Sunshine (2007, 107 minutes, 666): This has a group trying to reignite the dying sun. This should qualify as a sci-fi selection. Chris Evans, Cillian Murphy, and Michelle Yeoh all try to save our world. Saved by the Bell: The New Class: Blood Money (1994, 21 minutes, 66): Emma Caulfield is a guest on this episode as a nurse who Screech has a crush upon. I am sure this makes Madness history as the first time anyone has used an episode of SBTB to qualify in a halloween contest. 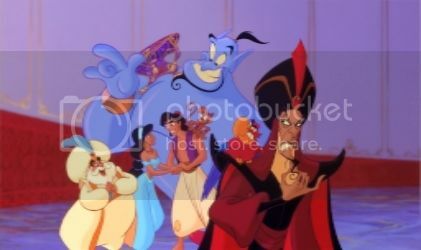 Aladdin (1992, 90 minutes, 666): This Disney movie should have enough fantasy elements to qualify this year. Go to a new world and meet that friend you'll never have one like. 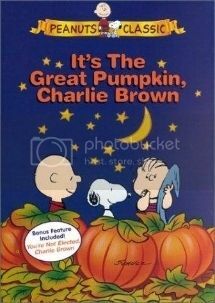 It's the Great Pumpkin, Charlie Brown (1966, 25 minutes, 666 1/2): This holiday special goes without saying. If you don't like this one, you get a rock for Halloween. 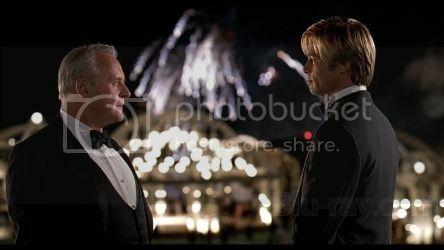 Meet Joe Black (1998, 178 minutes 666): I know I'm really walking the line with this one but with this year being more liberal with sci-fi and fantasy, I say Brad Pitt's character who is essentially the Grim Reaper should make this one count. The Third Man (1949, 93 minutes 666): This is one of the darker film noirs and gets mentioned ever year in the rules so I say this counts. 90210: We're Not in Kansas Anymore (2008, 60 minutes, 66): This is the first episode of the reboot I guess you would call it. I wanted to get her in and this was the most easily accessible loophole so I went this route. Lowndes was a conceited theater girl who appears to be losing her spot to the new girl. I did stop after this episode. NCIS: Los Angeles: Iron Curtain Rising (2003, 43 minutes, 66 1/2): Mitchell has a small part in this episode of the tv series making this my loophole for her. 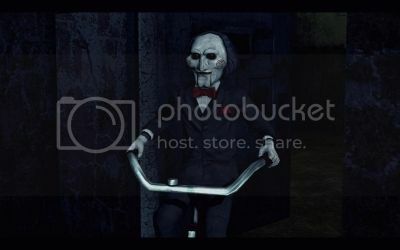 Saw (2004, 103 minutes, 666): The first of this 7 movie series with Jigsaw creating extreme situations for people to survive. Cary Elwes and Leigh Whannell are two men trapped and trying to piece together how they got there. Saw ll (2005, 93 minutes, 666): The second of the series where Jigsaw is up to no good and traps a few people trapped in a factory, one of which is the son of detective Eric Matthews, played by Donnie Wahlberg. Wrong Turn (2003, 84 minutes, 66 1/2): Goes without saying that this one counts. Lots of gore and Eliza Dushku. Arrow: The Candidate (2015, 45 minutes, 666): This is the second episode of the 4th season where Oliver and Team Arrow is trying to protect a family friend who is running for mayor. We also get to see the effects of the Lazarus Pit for Thea and ideas Laurel gets when she learns of it. 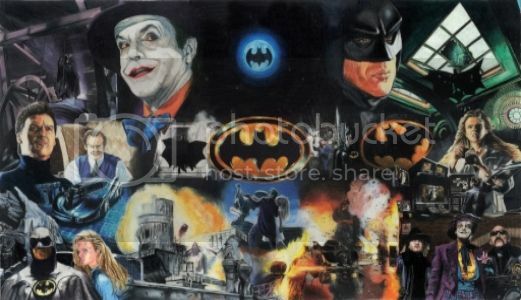 Batman (1989, 126 minutes 666 1/2): I have always enjoyed this vision of the superhero brought by Tim Burton. Michael Keaton is Batman and Jack Nicholson is the Joker. It was possibly the first real dark take on the hero where he is more of a vigilante. Billy Dee Williams plays Harvey Dent and it was intended he would eventually be Two-Face had Burton stayed on to do more. 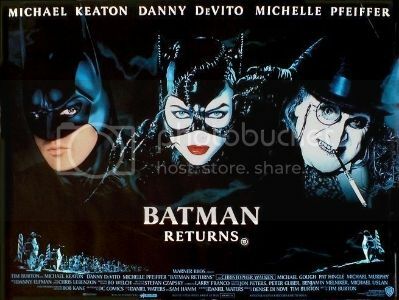 Batman Returns (1992, 126 minutes, 666): This is Tim Burton's sequel and his last of the series. Michael Caine reprises his role of Batman with Danny Devito playing the Penguin and Michelle Pfeiffer playing Catwoman. 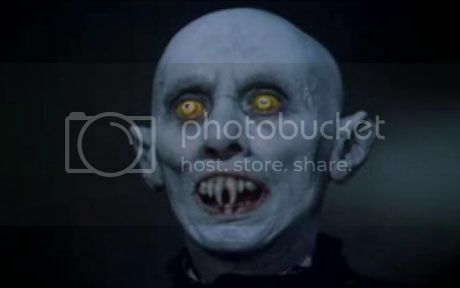 Christopher Walken also plays a business villain named Max Schreck. The Flash: Flash of Two Worlds (2015, 45 minutes, 666): We get to learn about alternate earths and the first Flash Jay Garrick who is from the other Earth but lacks powers in this one. 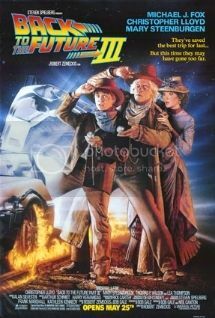 Back to the Future Part III (1990, 118 minutes, 666): This should qualify for the madness this year with its sci-fi elements. Great western touch in a time travel film. Oblivion (2013, 124 minutes 666): It is hit or miss if this would ever be in any other madness but this year we can do all sci-fi so it counts because of Mr. Cruise. 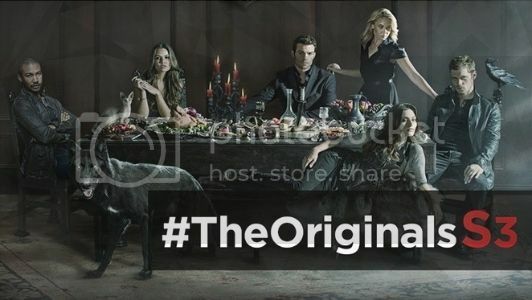 The Originals: You Hung the Moon (2015, 45 minutes, 666): This is the second episode of the 3rd season where the power struggle mostly between the vampires and witches continues with some infighting between both of them. Interested to see where they are taking the character of Detective Will Kinney, played by VERONICA MARS alum Jason Dohring. 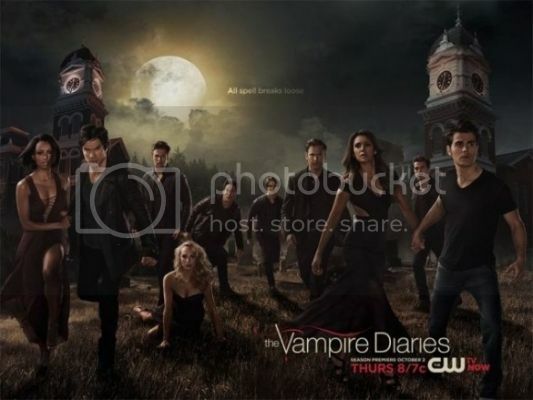 The Vampire Diaries (2015, 45 minutes, 666): This is the second episode of the 7th and final season where Damon manages to break the truce between Stefan and Lily causing Caroline to be caught in the crossfire. 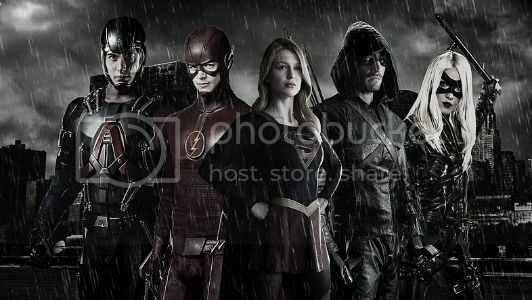 I see they are making use of flash-forward so interested to see what that is leading into in the big finale. 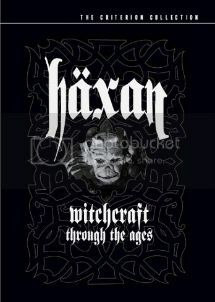 Haxan (1922, 91 minutes, 666): This silent film easily makes the list with the witchcraft elements and Satan.